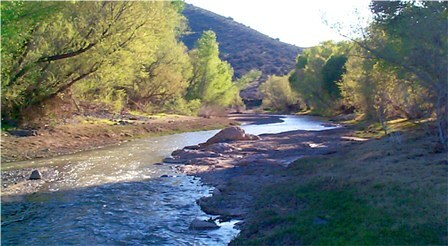 The Statewide Planning Section of the Arizona Department of Water Resources has been working with rural entities since the implementation of the 1999 Rural Watershed Initiative, a program established to provide support to rural water groups. In recent years, the Department has continued to provide assistance to rural areas with expanding populations, limited groundwater resources, and unique environmental features. The Department has assisted citizen organizations and local governments by providing technical information and analysis, administrative support, and advice on water issues. The Arizona Legislature has provided funding for Rural Water Studies since FY 1999-2000, and several million dollars have been leveraged from other governmental agencies to help fund various studies and monitoring in rural areas. The information provided here is intended as a resource for people living in the 87 percent of Arizona located outside the state’s five Active Management Areas (AMAs). The State established the AMAs to monitor urban, agricultural, industrial, and mining activity stemming from the heavy concentration of population and water use in certain parts of Arizona. Because the AMAs account for about 75 percent of the state’s water consumption, regulatory focus is on the AMAs. Still, the Department is committed to water resource planning statewide. The current Rural Programs section of Statewide Planning continues to carry on many of the activities of the Rural Watershed Initiative, primarily by providing support to a number of rural water groups that consist of both rural watershed partnerships and other rural entities.